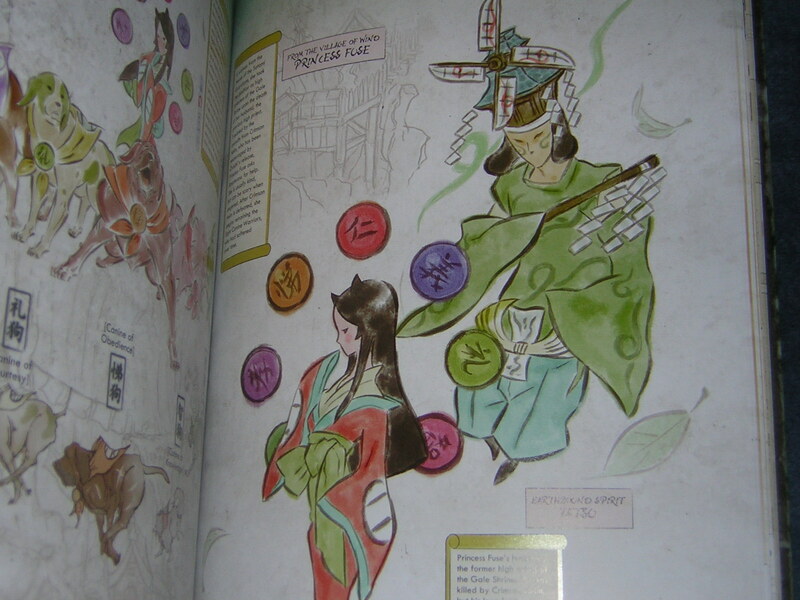 These pictures convey the beauty and majesty of Amaterasu’s quest to restore color to the land and banish evil from it. 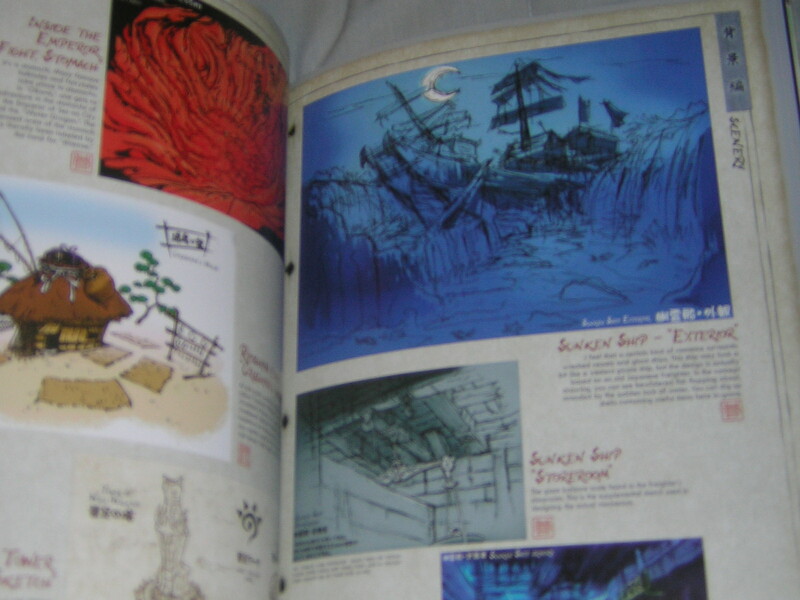 I should note quickly here that I am far from a proficient photographer, a fact that was only exacerbated by the fact that this artbook opened up manga-style. 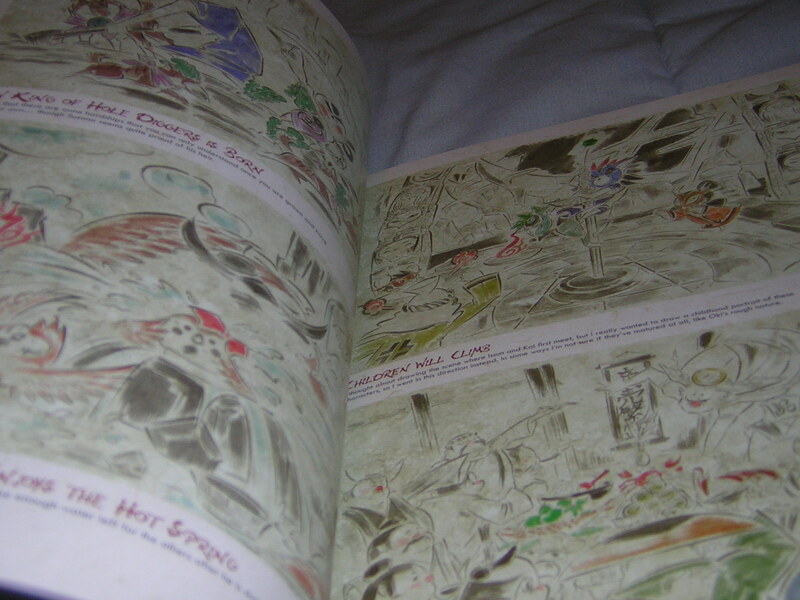 That said, the pictures in this book seemed to come to life as I took each photograph. 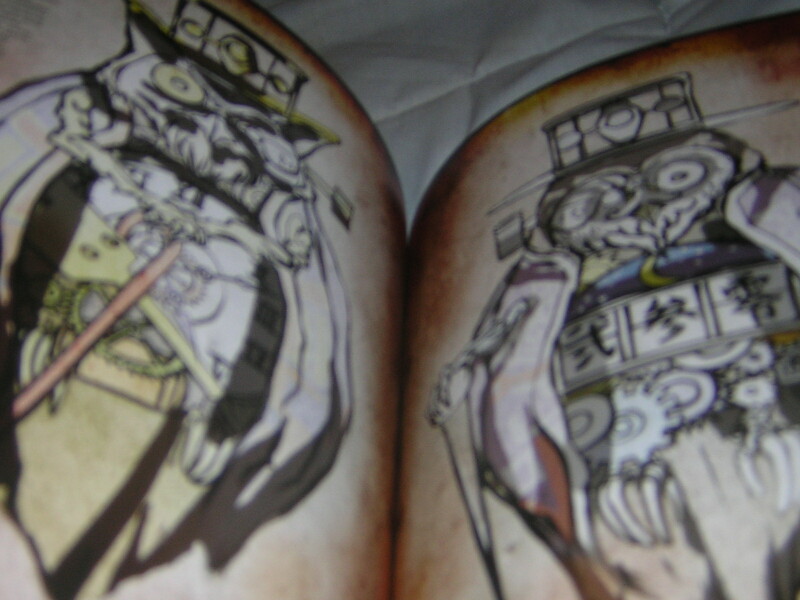 They literally looked clearer and more vivid after I took them. 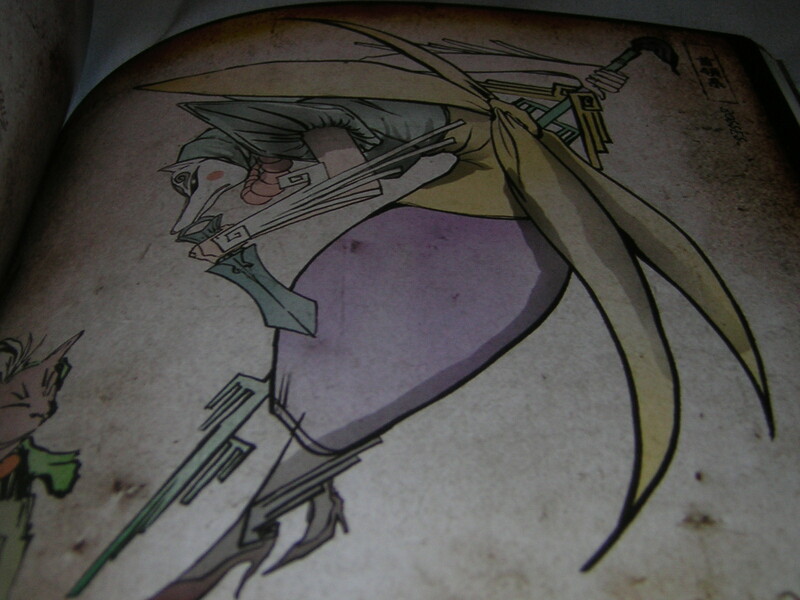 Despite being evil, she’s still hot! 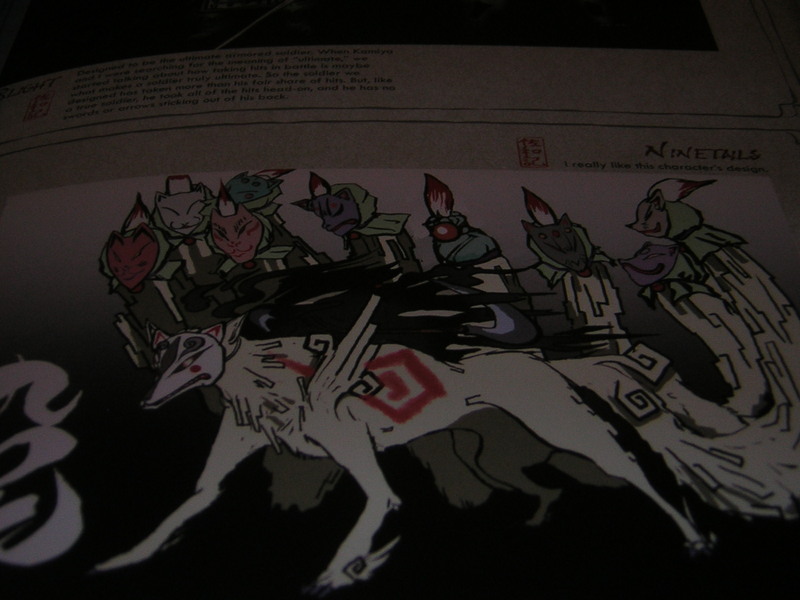 Absolutely love how this pic turned out. 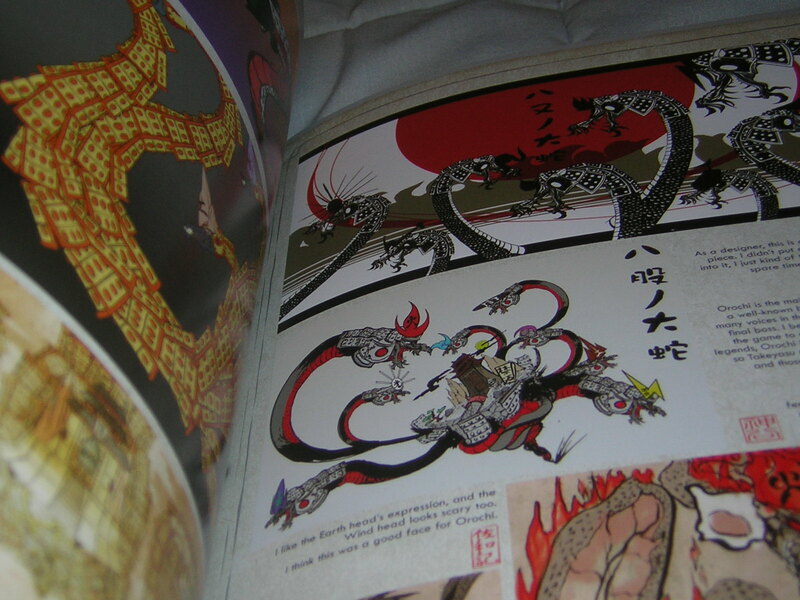 You would not believe how hard it was to take a good pic of Orochi. 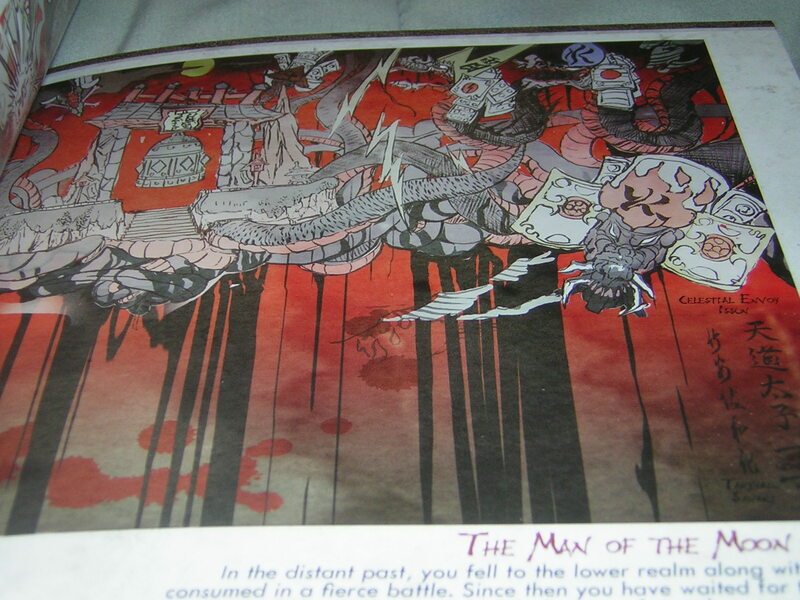 Still one of my fave boss fights! 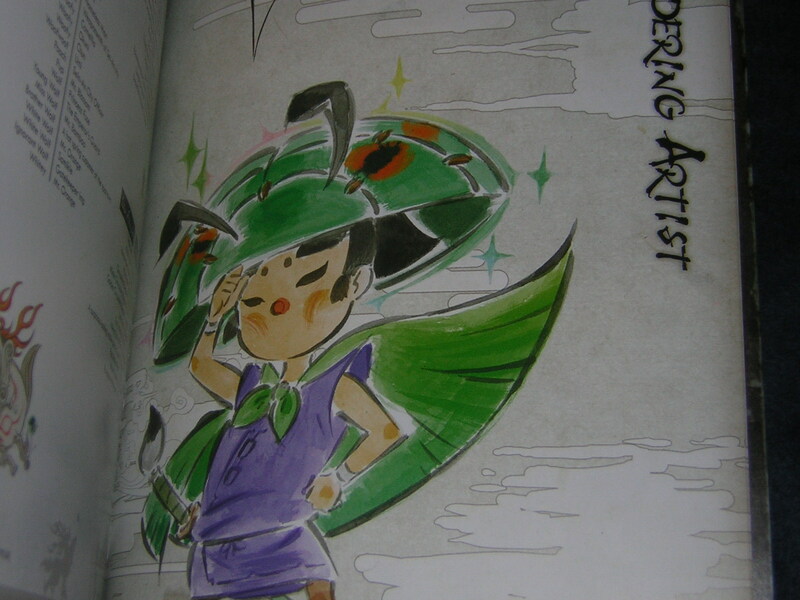 I may not like most villagers, but who can say no to Sakuya? 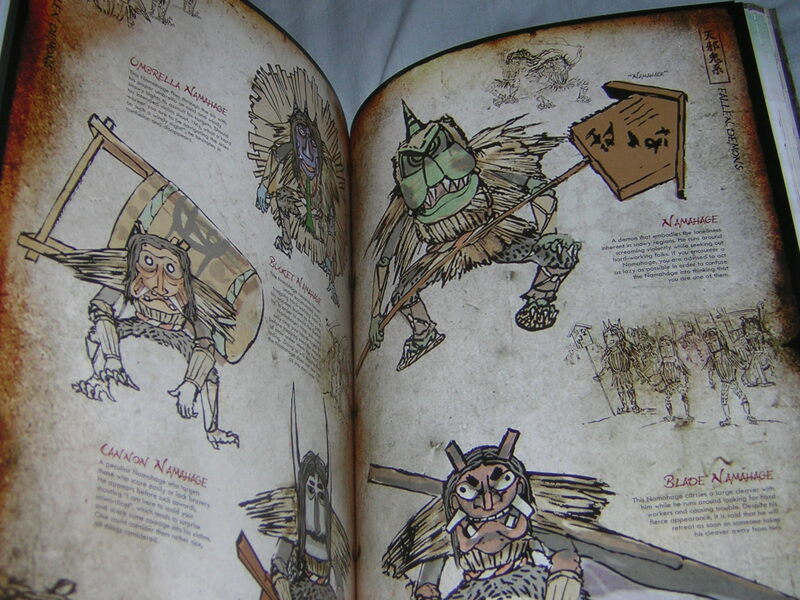 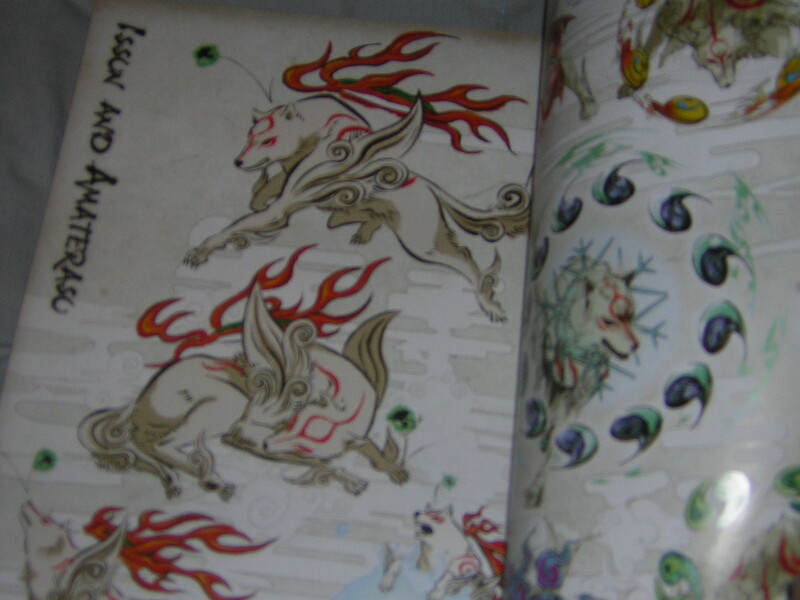 They were originally going to include dinosaurs in Okami… No, seriously! 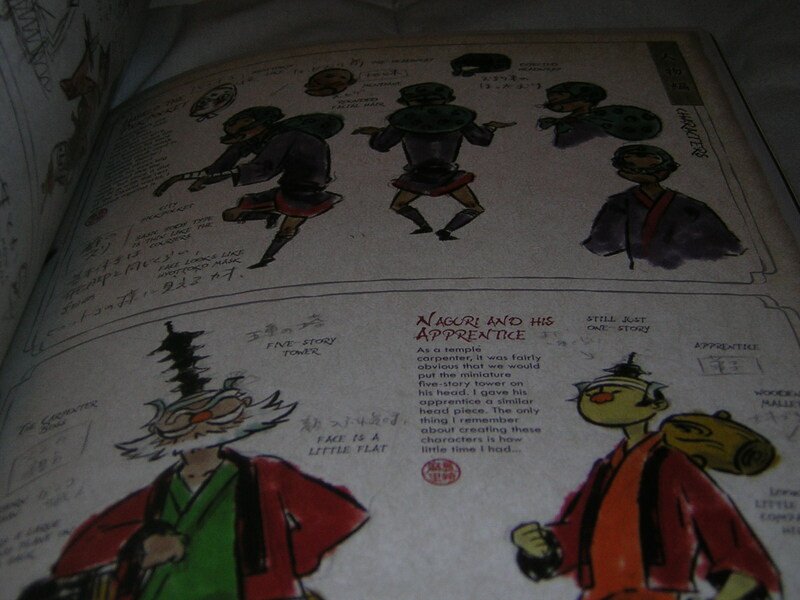 Love the color contrast on this page. 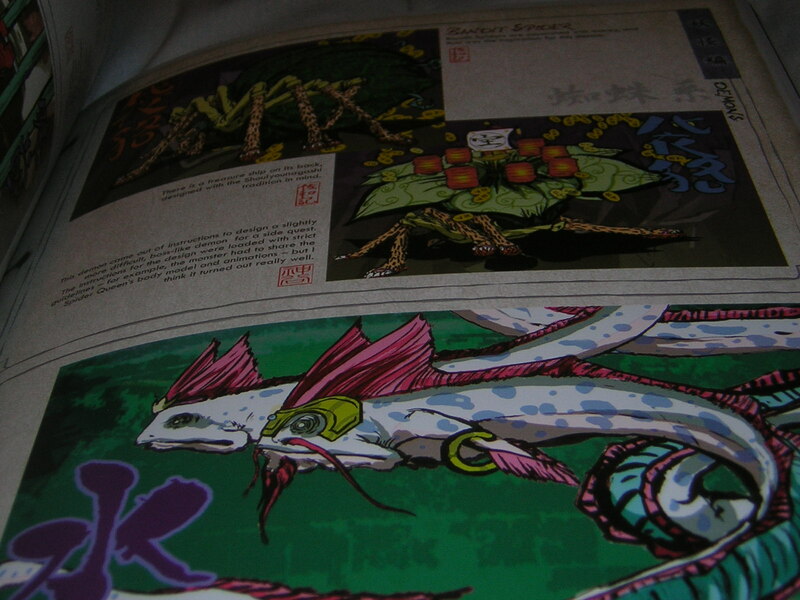 It may be beautiful, but the inside of the Water Dragon was no joke. 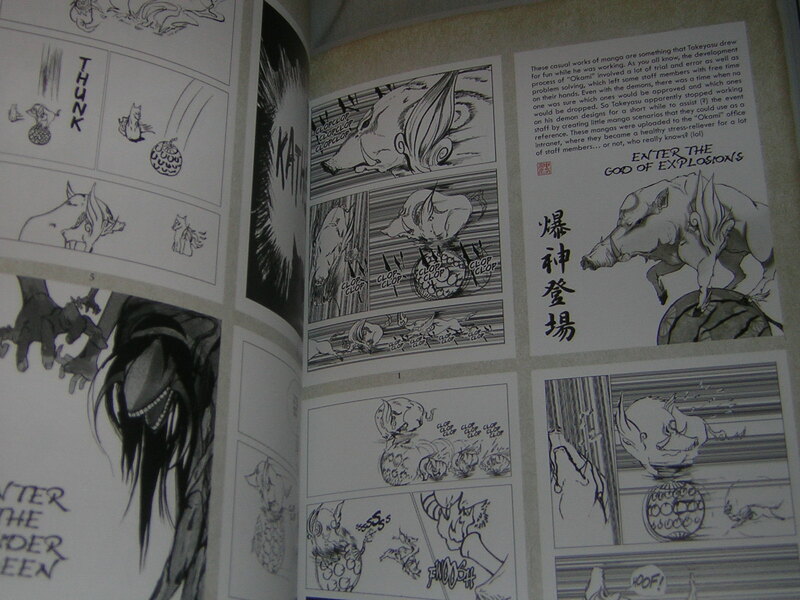 Some of these manga scenes are pretty cool! 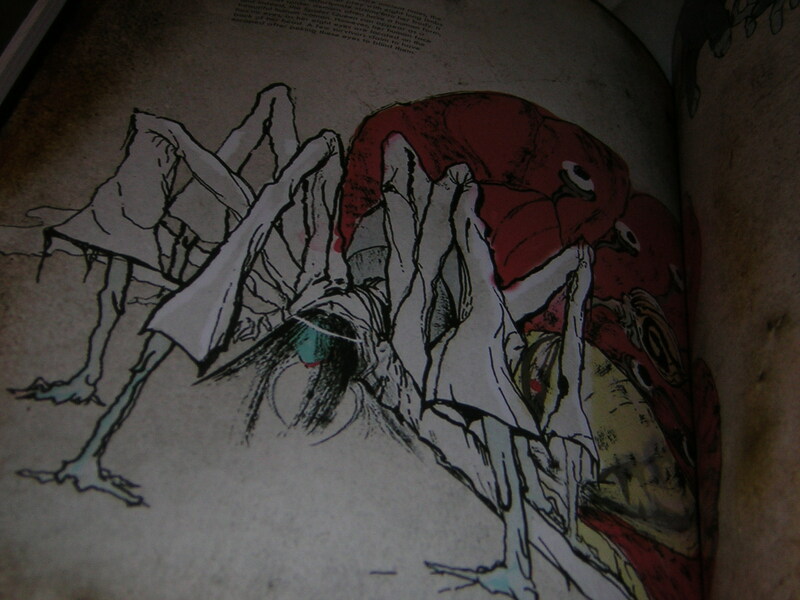 Reminds me of Kracko for some reason. 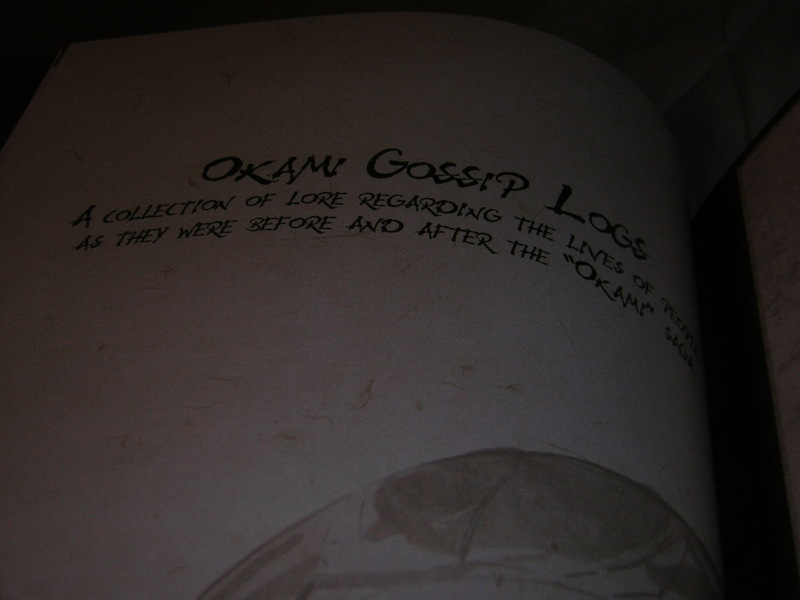 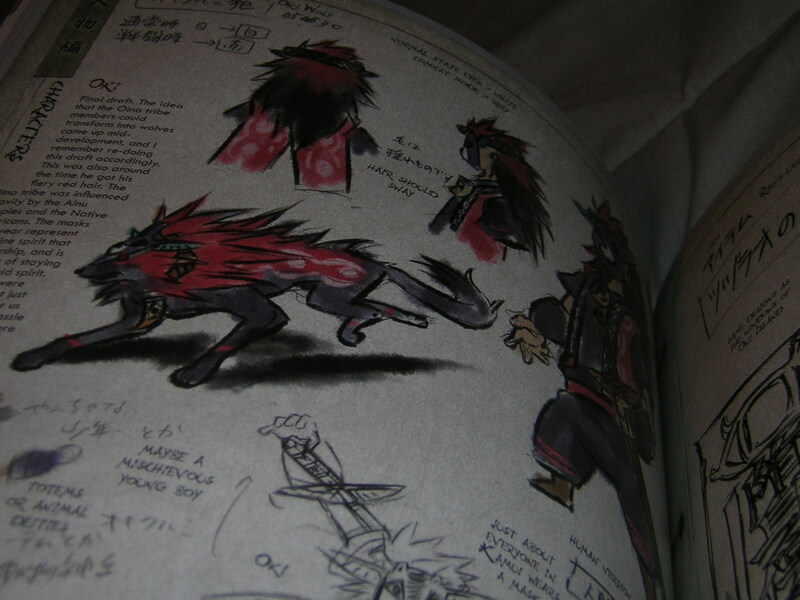 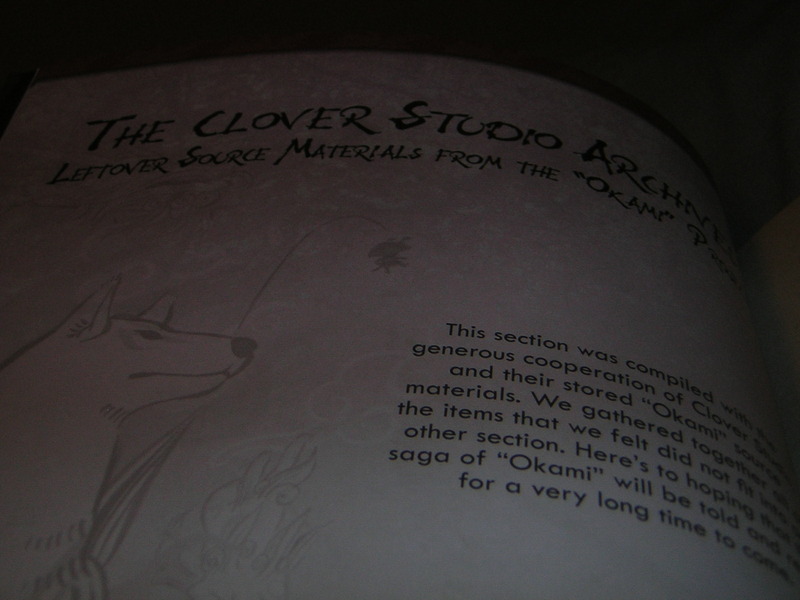 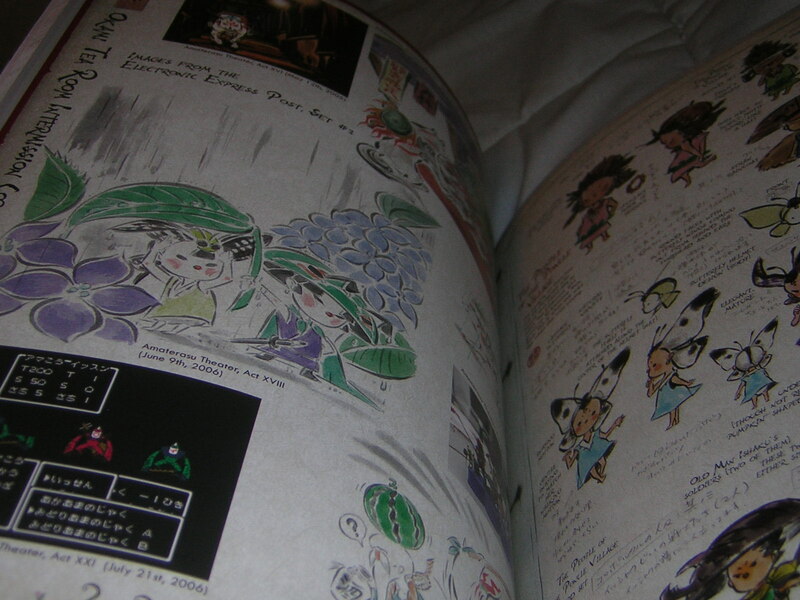 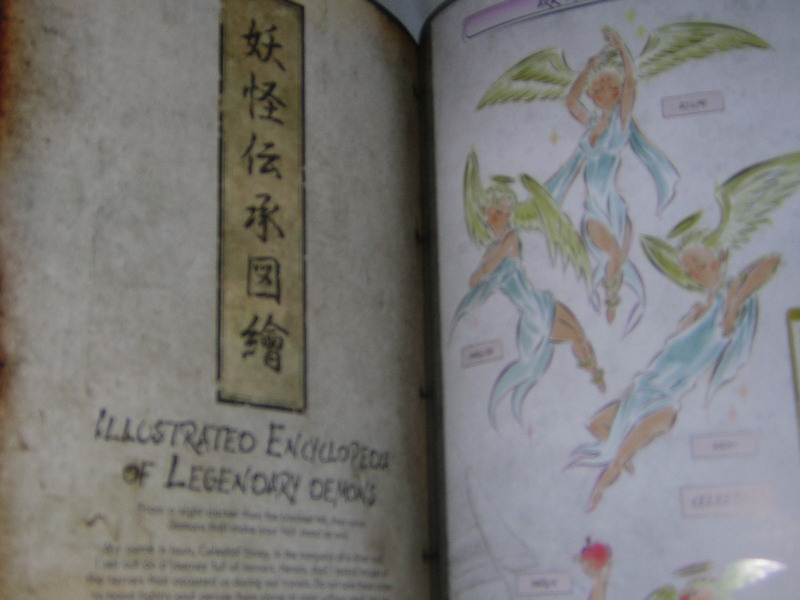 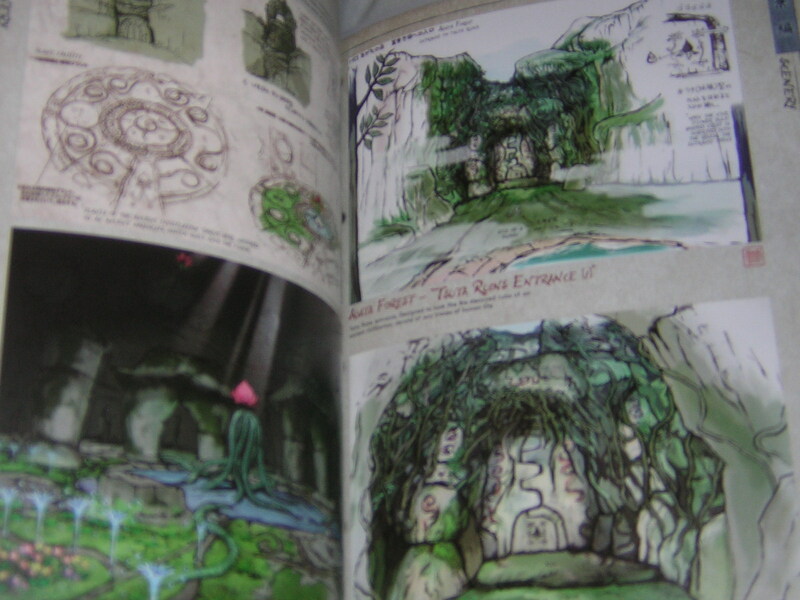 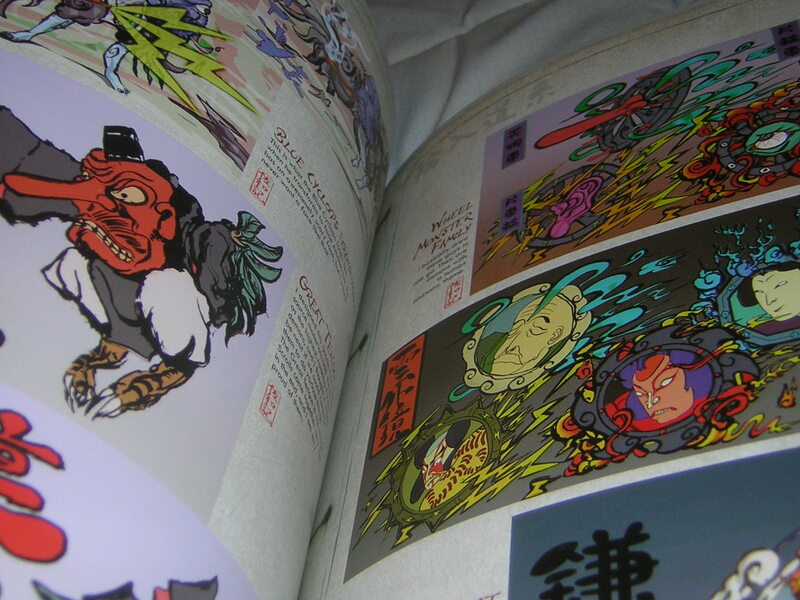 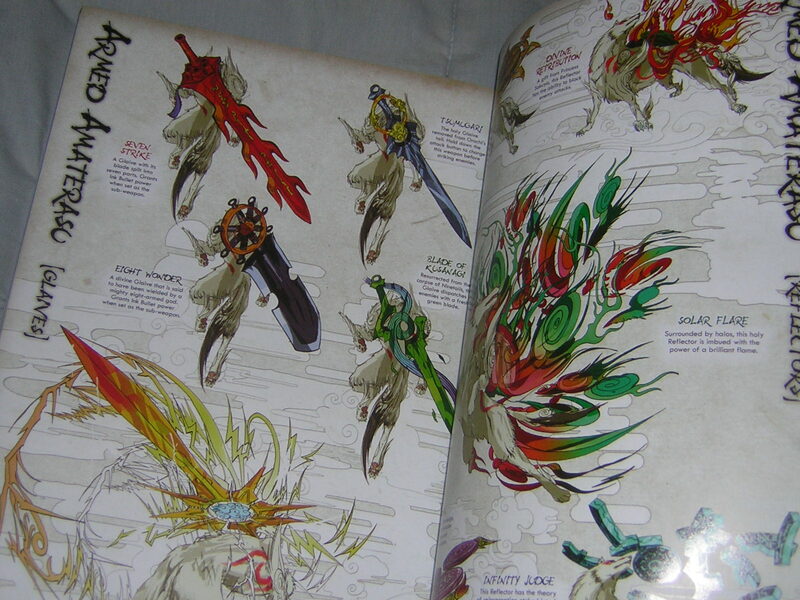 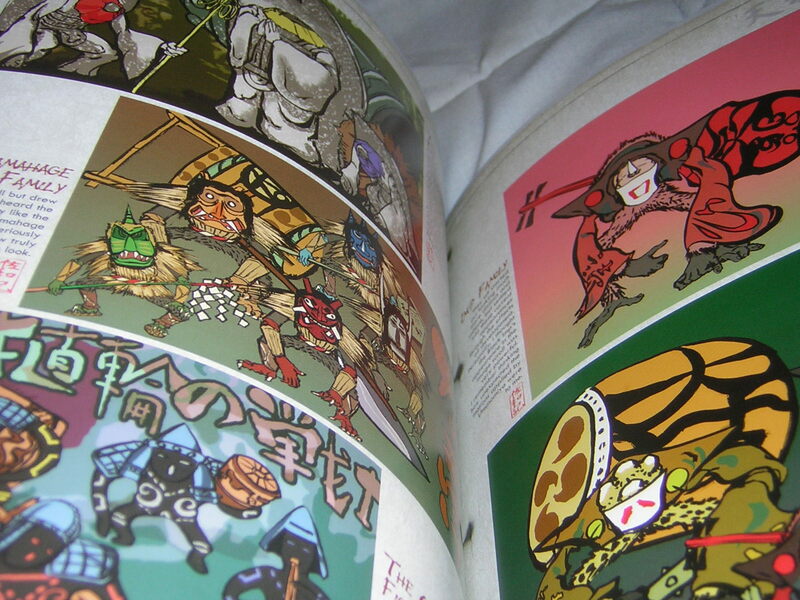 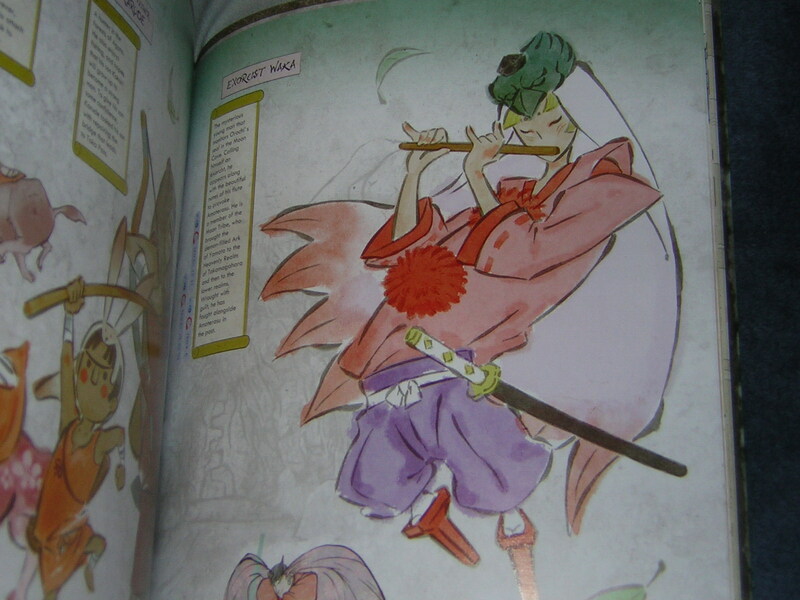 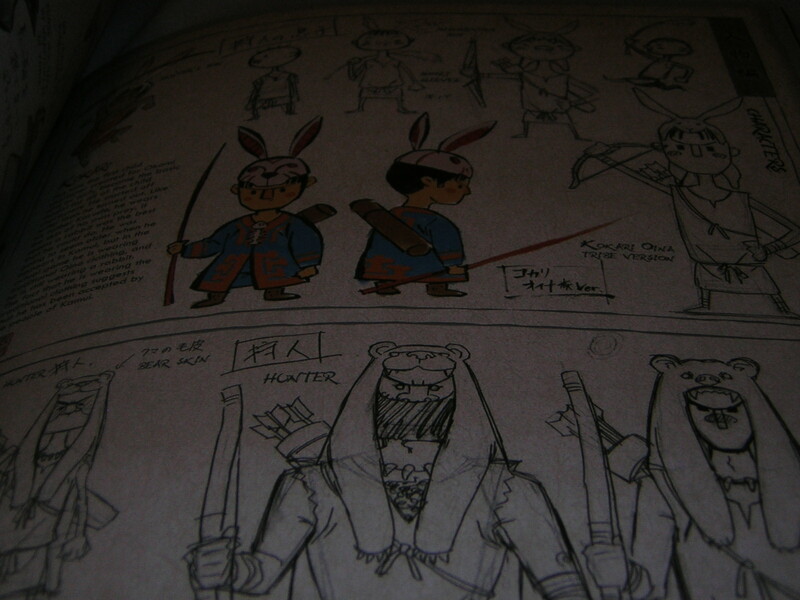 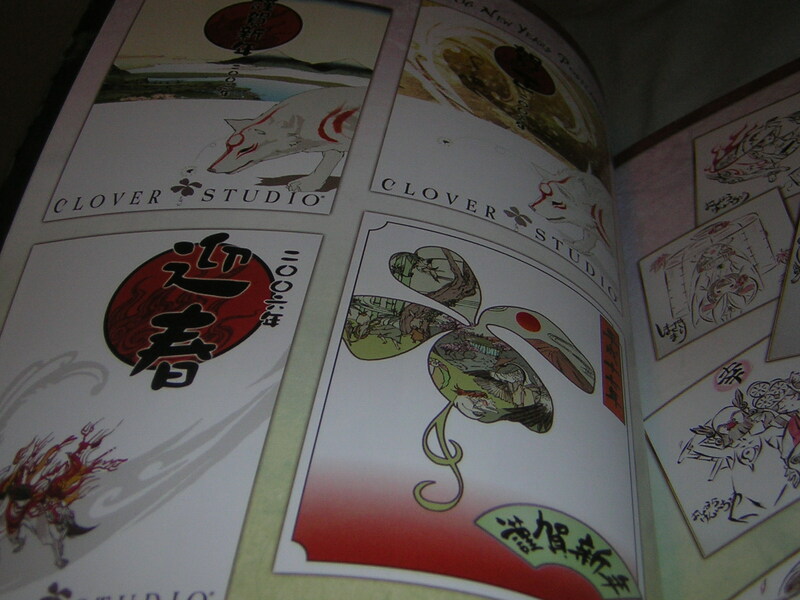 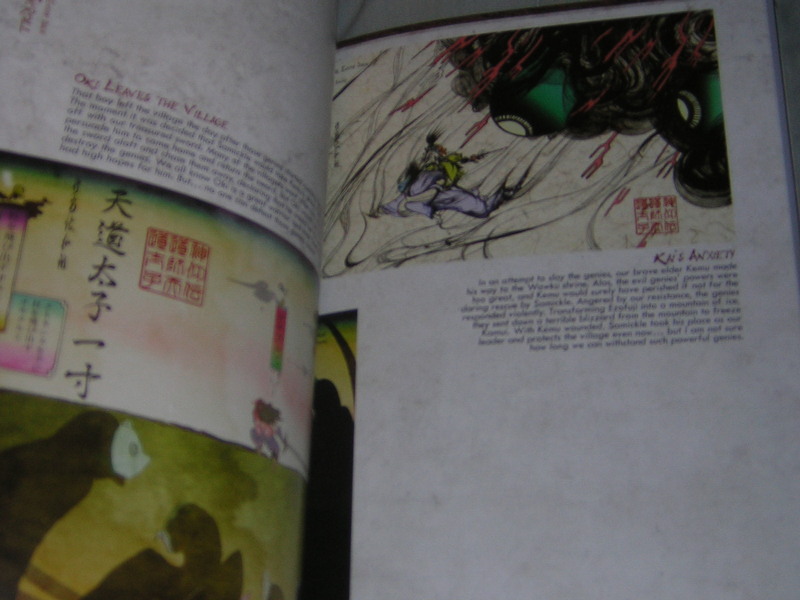 The Archives were quite simply the holy grail of the Okami Official Complete Works. 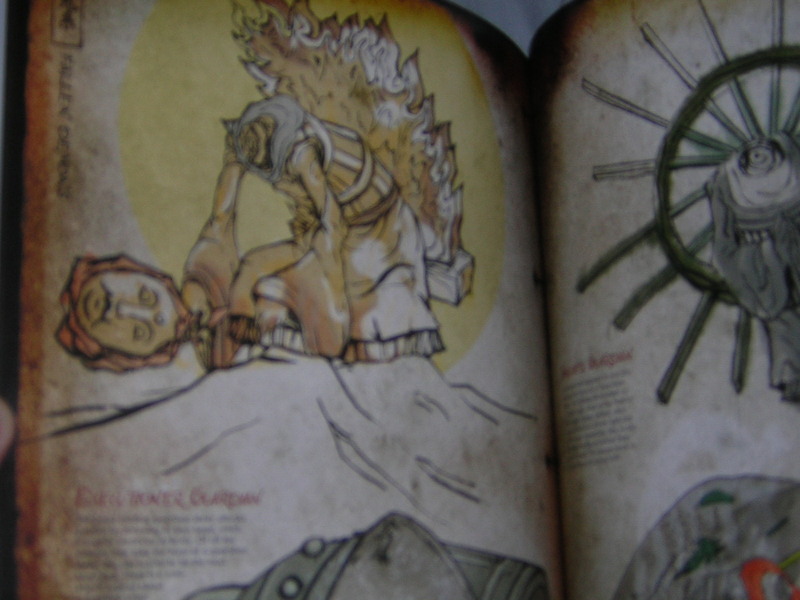 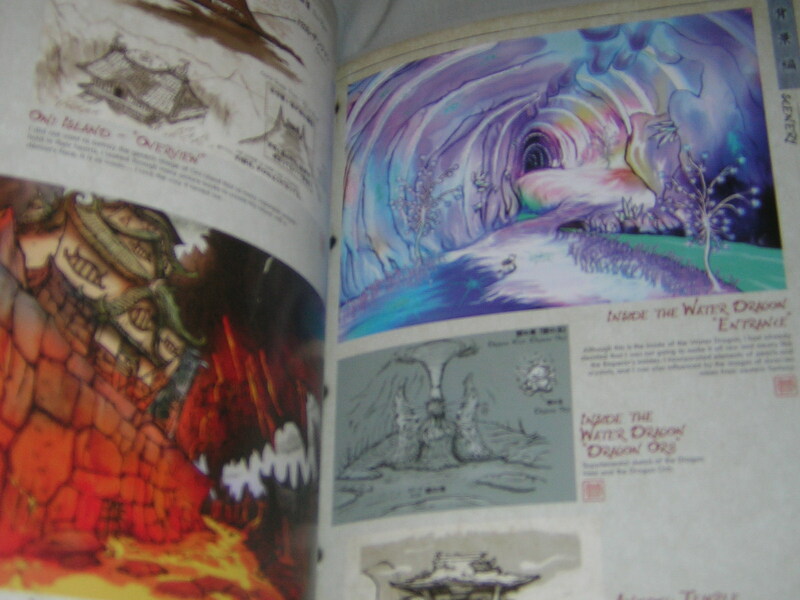 Not only full of beautiful art, this section also held source material and any other random thing that they felt didn’t fit into other sections of the book. 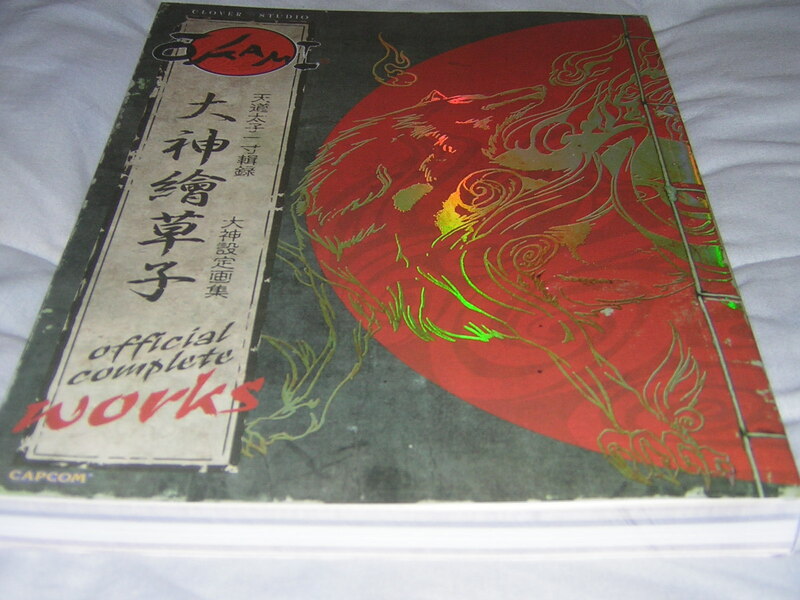 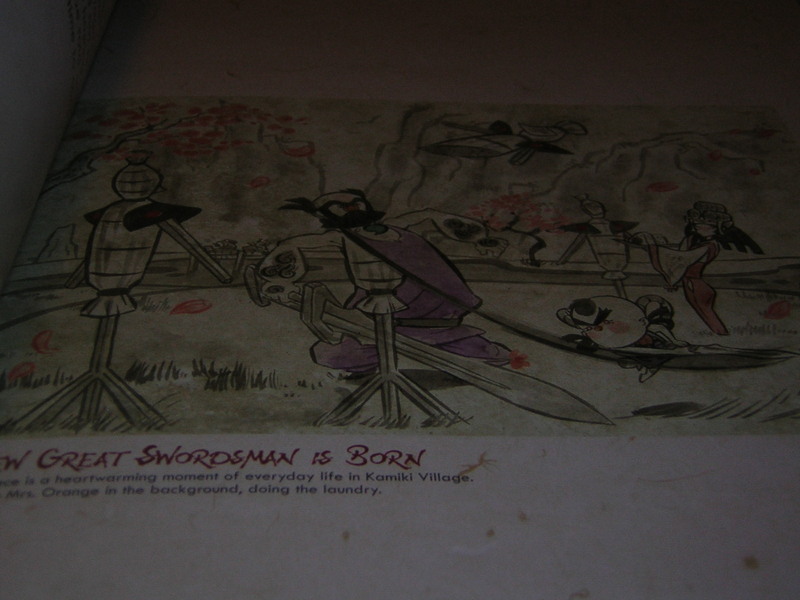 This included but was not limited to promotional art, magazine covers, package art, retro renderings of the Okami world map and a whole lot more. 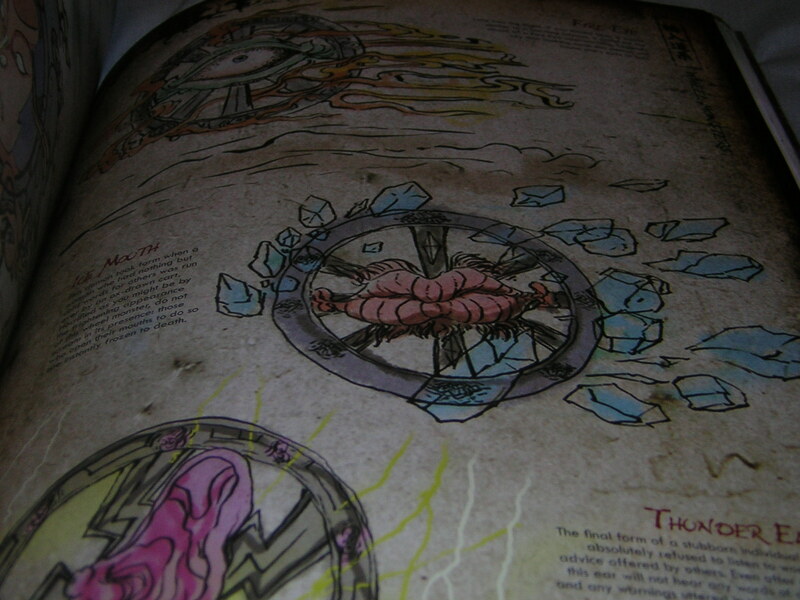 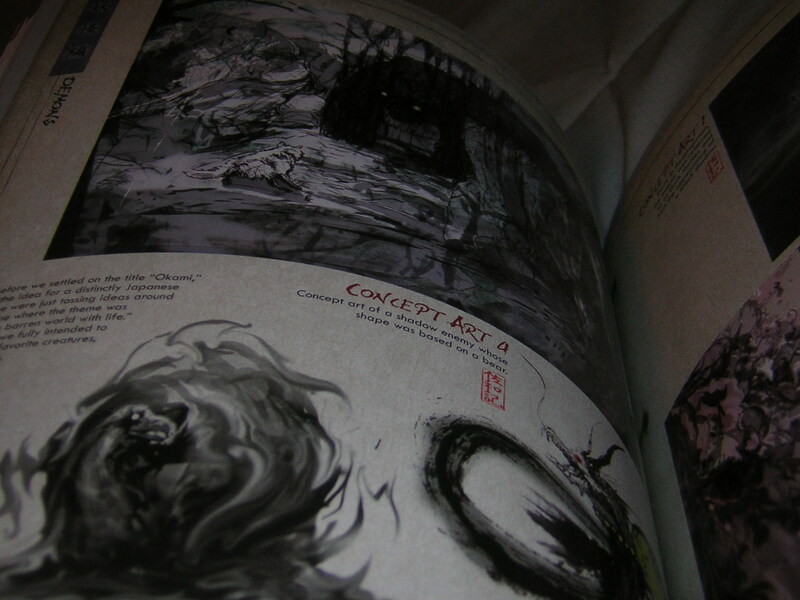 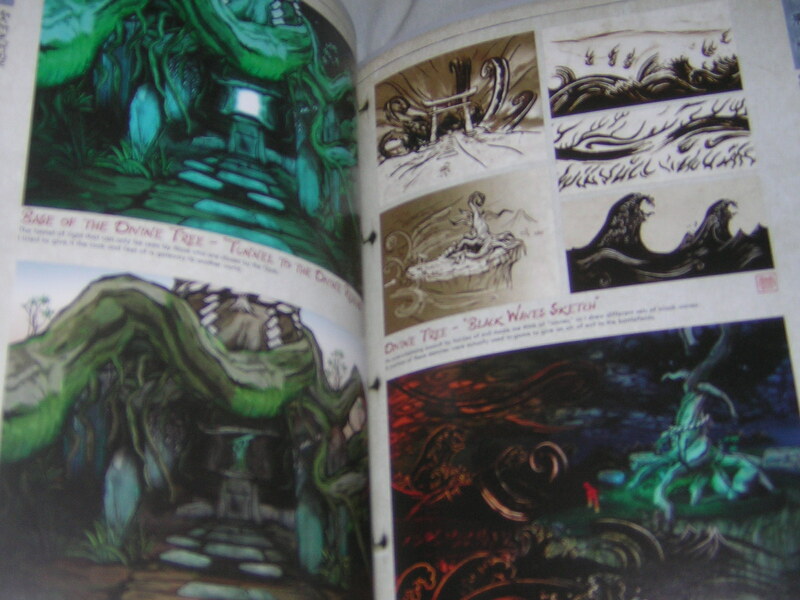 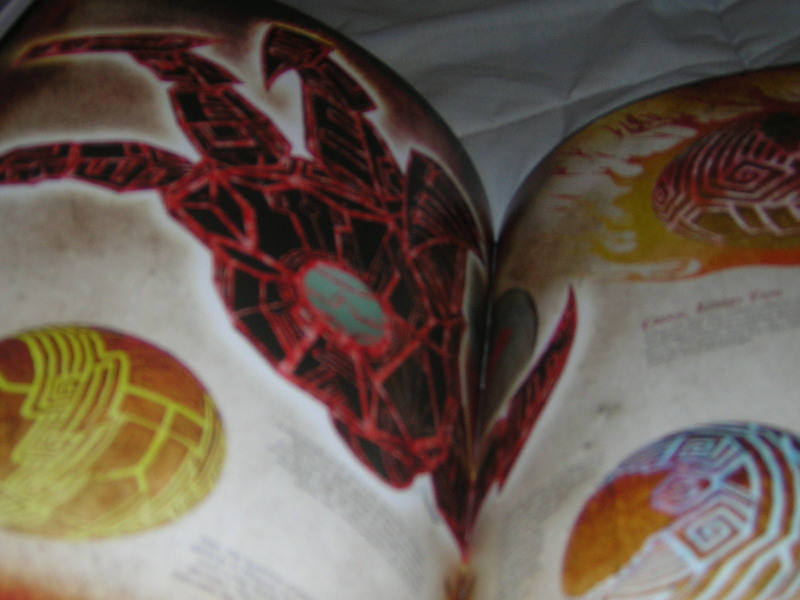 Because of the seamless mixture of art, lore and creator information, I was very happy with this artbook. 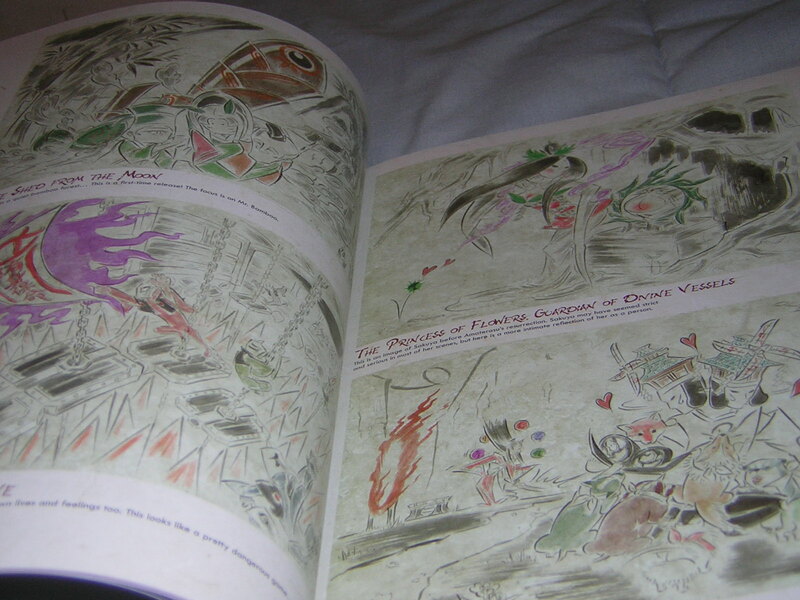 The juxtaposition of those elements made it a very worthwhile addition to my collection, as well as immeasurably increasing the value of the book itself. 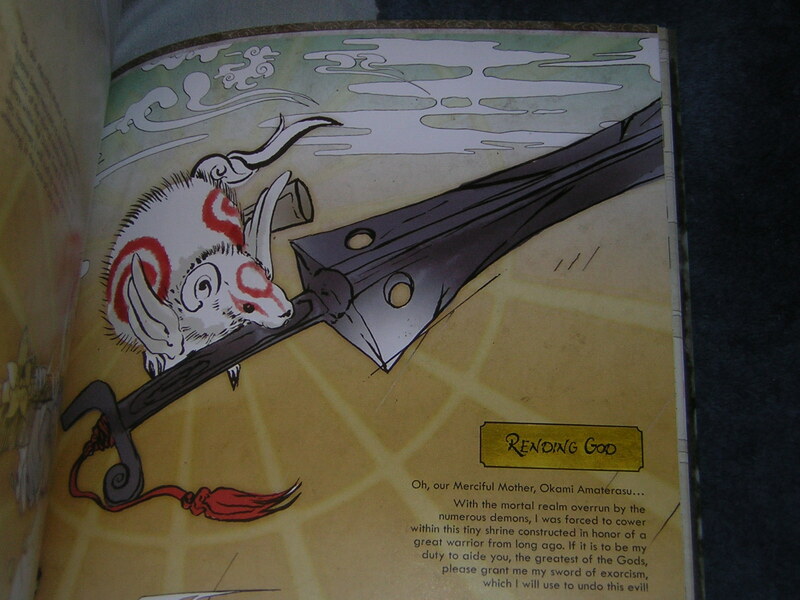 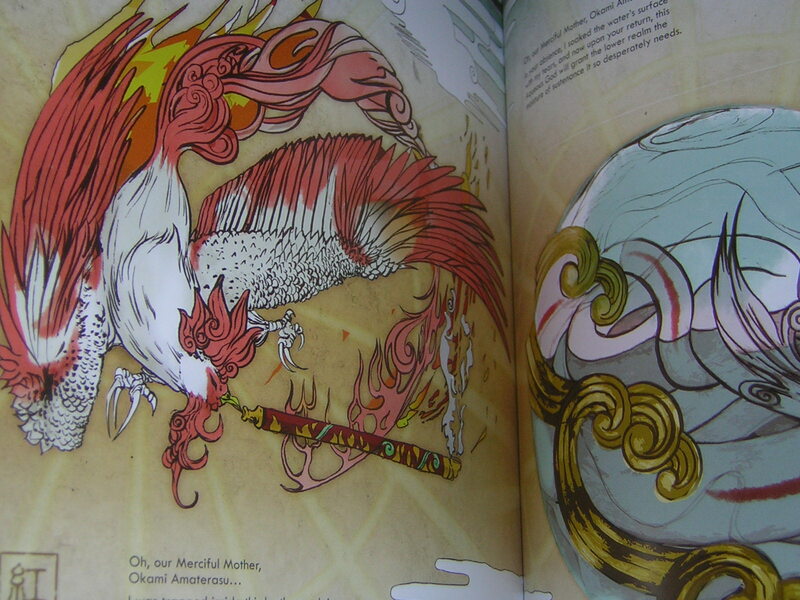 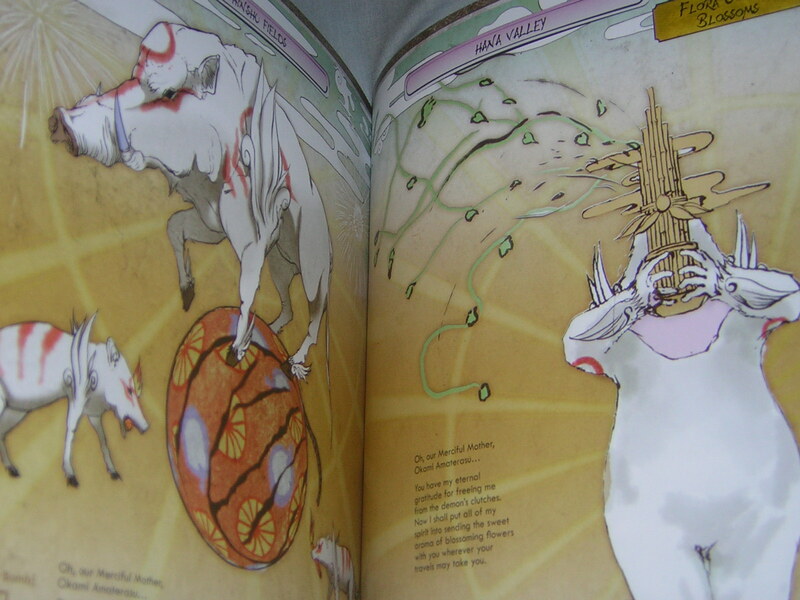 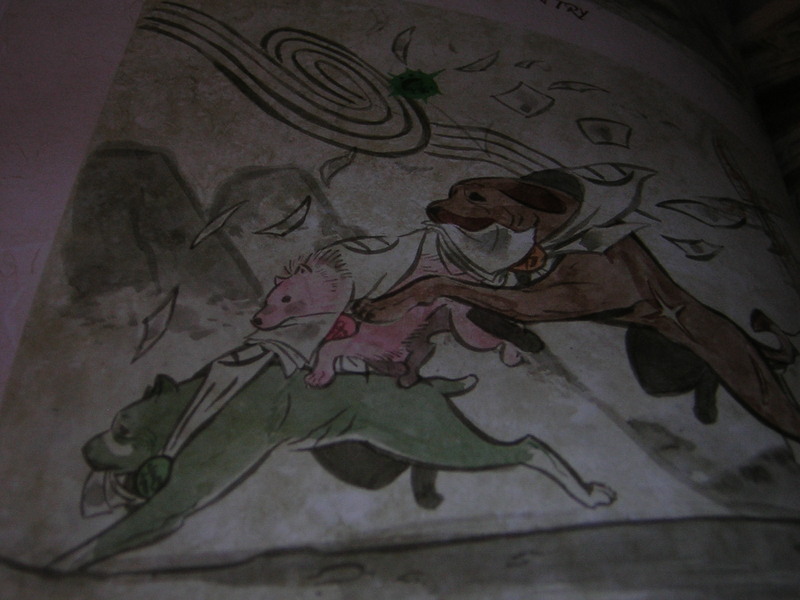 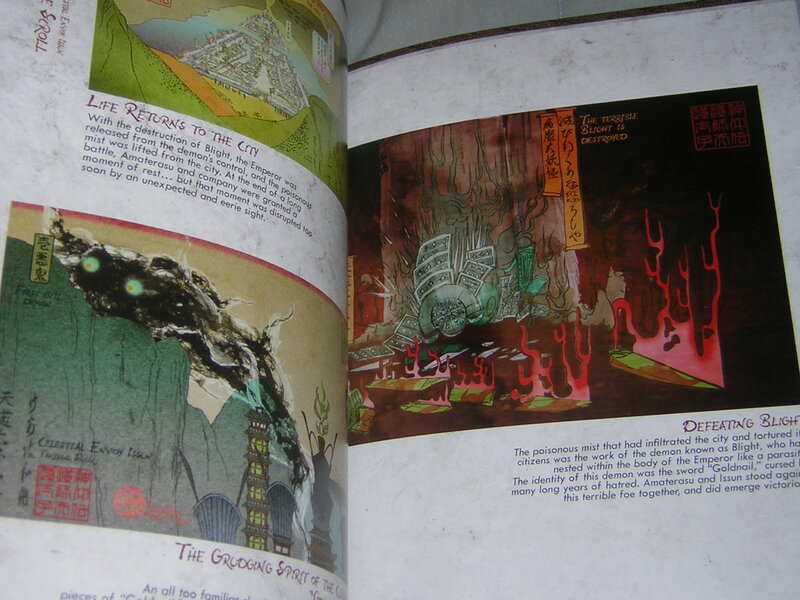 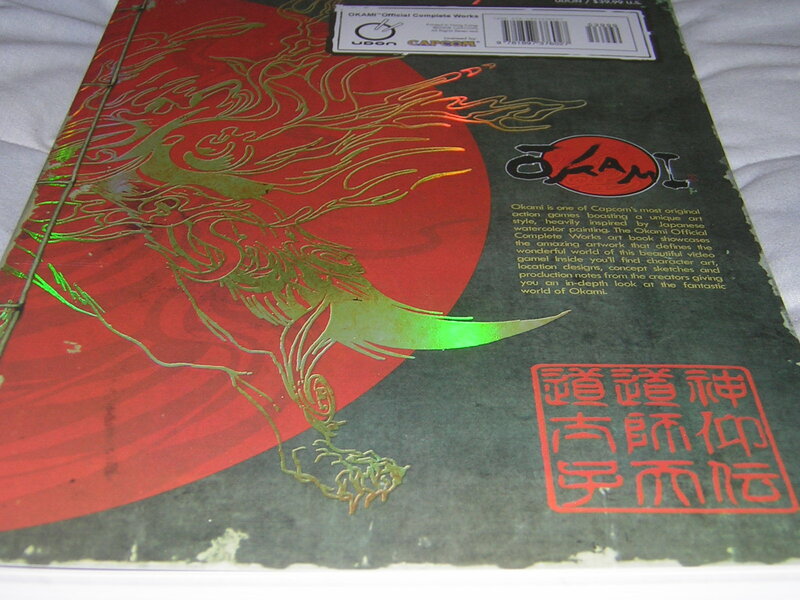 To anyone who is a fan of Okami, I cannot press you enough to pick this beautiful artbook up. 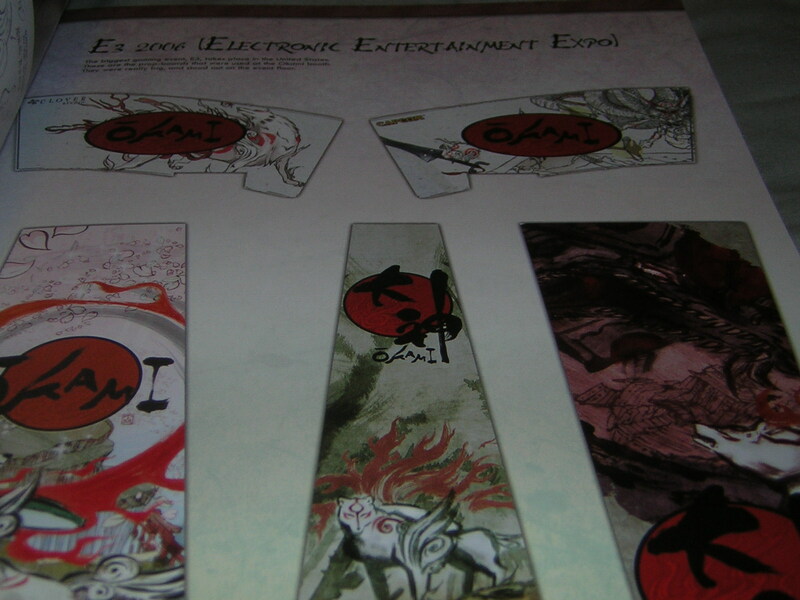 Udon really outdid themselves with this one.